Science always never fails to amaze me – be it gravity, electricity or even man-made structures, experiments are always a good idea, no matter what the results turn out to be. In this story, one woman discovers an amazing feat achieved – with a water bottle! She leaned over the Hoover Dam, a significant landmark which lies between the borders that separate both Arizona and Nevada. 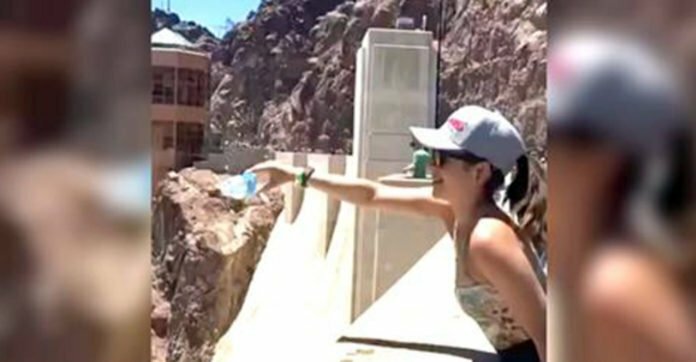 Then, she opened her bottle and started to pour the water out – and lo and behold, the Hoover Dam water bottle experiment. See it for yourself!